All Bronco Nets Shipped for Free! 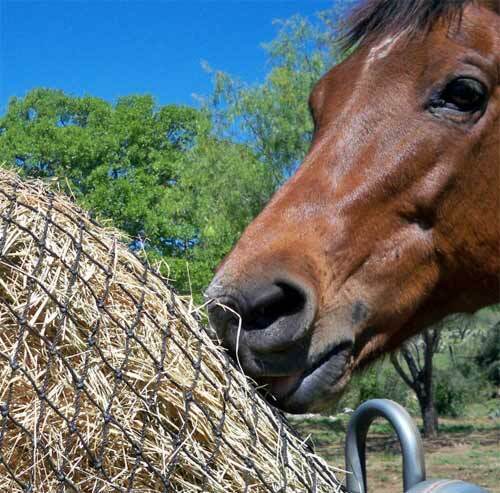 We personally have used hay nets with our own horses (30+ head), for the past 6 years and directly experienced the cost savings in the first month of use. This has allowed us to obtain a great deal of knowledge and experience with horses using hay nets. Slow feed hay nets save money, time and reduce hay waste! Round bale hay nets stretch your hay dollar and not your wallet! 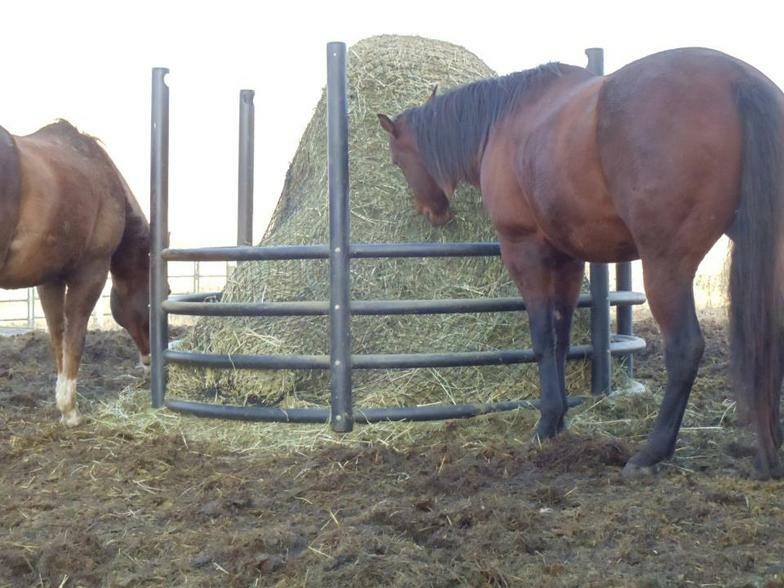 Check this study out on round bale hay nets from the University of Minnesota/Extension. Weather you feed small square bales, large square bales, round bales or by the flake, we have a net that will work for you. University tested (see link below) and horse/owner approved! Use good common horse sense when using haynets! No loose ropes or strings that a horse could get caught up into, horses with shoes on should only have nets that are in feeders so that a shoe can never come in contact with or tangled in a net. No halter's either. Dan Filipek, owner of Bad River Mercantile, gives us some great tips on using the 1/2 square bale net!